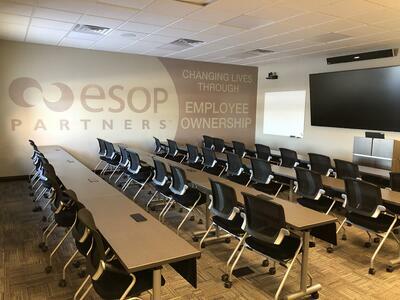 ESOP Partners LLC celebrated yet another milestone in its growth by moving into a new corporate headquarters this spring. You may have seen this announcement last fall, when the groundbreaking was announced. The 6,000 square ft. office building includes the Employee Ownership Training Center (EOTC), with the latest office technology, state of the art video conferencing and 35-person training room. This dedicated space will allow us to better serve the employee ownership community through increased awareness and education. The EOTC will be used to conduct employee training, as well as webinars and educational workshops to spread the employee ownership and employee stock ownership plans (ESOP) message. Check out this time-lapse aerial video of the construction process: http://bit.ly/2GrHZY5. (2:00). ESOP Partners changes lives by creating wealth and sustainable employment through employee ownership and works with business owners and companies to determine if an ESOP is a good fit for their situation. ESOP Partners establishes, maintains, and sustains employee stock ownership plans (ESOPs) throughout the lifecycle to maximize the benefits of being an ESOP company and provide employees with an ownership stake in the company that they work for. ESOP stands for Employee Stock Ownership Plan and is a qualified retirement plan, similar to a 401(k) plan, that can be used as a business transition tool and as an employee ownership vehicle to provide employees with an ownership stake in the company. The ESOP buys, holds and sells company stock, providing employees with a retirement plan benefit and an additional form of compensation. In almost all ESOPs the benefit is funded 100% by the company, providing an ownership stake at no cost to the employee. The total number of ESOPs in the country is about 6,700, representing 14.4 million participants and total plan assets of $1.3 trillion dollars. 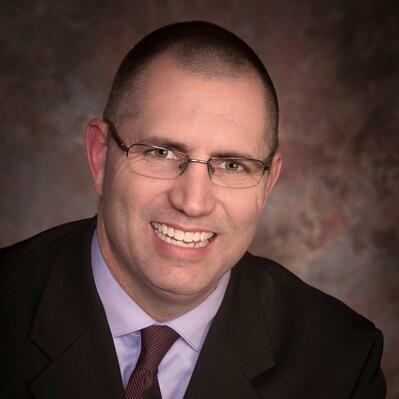 Studies have demonstrated that ESOP companies outperform their non-ESOP counterparts. A recent study demonstrated that employee owned companies are 235% better at job retention than their non-ESOP counterparts.